The Ram Promaster City seems to be the perfect small, commercial van for Americans. It’s just a shame that very few will be sold in the next few years. Not only does this very well made, little van have to compete with the excellent Ford Transit Connect and the low-priced twins from Nissan and Chevrolet, but sitting next to it in Dodge showrooms across the country is the larger, cheaper, more powerful Ram Cargo Van. 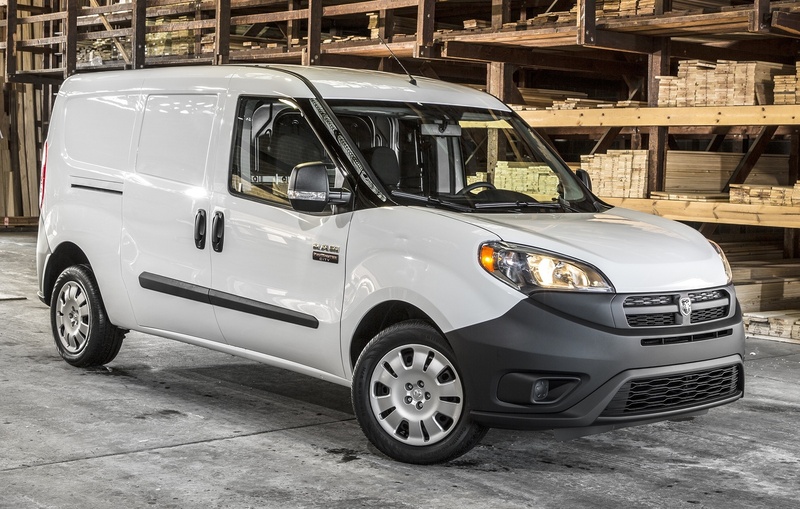 The Ram Promaster City costs almost $1,000 more than the larger Ram Cargo Van which is $23,130 (the Promaster city is $22,500). The Cargo Van is based on the Dodge Grand Caravan and this poses a problem. The people who buy commercial vans tend to care about certain things, but it depends on whether they run a fleet or are a owner/operator. If the buyer runs a fleet of vans they care about overall costs, how well can these vehicles accomplish their tasks and how often they need to be taken out of service for maintenance? If the van is bought by an owner/operator, then overall comfort, including options like the availability of a smoker’s package, become important factors in the buyer’s decision. It seems most people I know that drive a van, smoke cigarettes and smoke while driving. So it seems logical that if you want to sell vans to owner/operators, having an option group for smokers is only logical. This is why Ford offers one on the Transit Connect, and Ram offers one on the older Cargo Van. The little Promaster City however, misses out on such a package, it also misses out on the heavy towing capacity of its older sibling. The biggest problem for the Promaster City has nothing to do with capabilities or capacities; it has more cargo room than the Cargo Van that it will eventually replace when Chrysler redesigns its minivan next year. It also gets better fuel economy than the Cargo Van, has more room than any of the small vans, uses less gas than the Ford Transit Connect and is the only one in its class with independent-rear suspension. The biggest issue, the one that will cripple sales of the Promaster City until Chrysler retires the outdated Cargo Van, is the fact that buyers will see the Cargo Van as cheaper to run. The shape is more familiar and in-line with the traditional idea of vans being longer than they are tall. The Ram Cargo Van has a big V6 like most of the vans used by companies in the past, and because gas is cheap, that V6 with a six-speed automatic transmission seems like a better choice than the four-cylinder and nine-speed automatic that drive the Promaster City. This drivetrain was very carefully chosen for this market, it is naturally aspirated which Americans love, and the torque-converter automatic gets MPG figures comparable to those of a CVT without all the droning and maintenance issues. This little van even has rear-drum brakes which are cheaper for consumers than discs, but I doubt consumers will notice any of this because they will continue to buy the bigger, cheaper, more powerful van that comes with a cigarette lighter and ashtray because that’s’ what people want until they are forced by gas prices to consider otherwise. A serious car nerd with a dangerous obsession with fast Volvos and dual-clutch transmissions. A Canadian who you could likely destroy around a track. Lifelife 3260 Fire Suppression Testing!